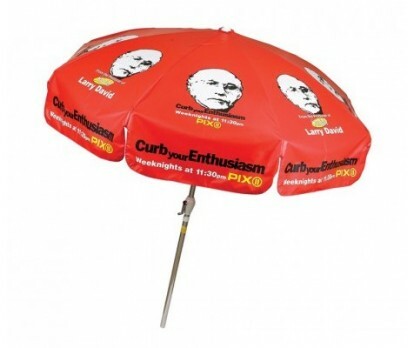 7.5 ft x 8 panel configuration vinyl personalized patio umbrella serves as an eye popping billboard for businesses, which cannot afford to seek multimillion larger than life billboards. This promotional umbrella is equipped with features such as 7.5x8 panel configuration, vinyl fabric, 2piece pole and tilt feature. 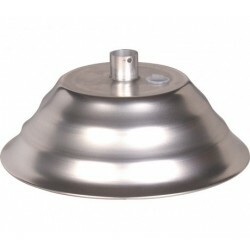 Wind vent can be offered on request. 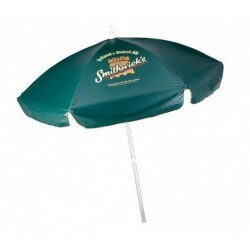 Logoed 7.5 ft x 8 panel configuration vinyl promotional patio umbrella makes a great promotional choice for cafes, pizzerias, and outdoor restaurants. 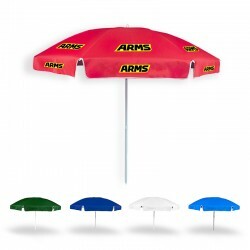 It makes a great POP item in any crowded market place. 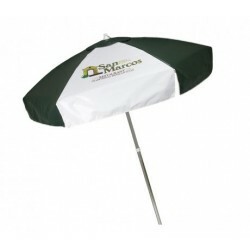 A durable and attractive 7.5 ft x 8 panel configuration vinyl custom patio umbrella can be sought in any of these colors - purple, red, cobalt blue, white, yellow, hunter green, Kelly green, lime green, navy blue, orange, khaki, black and royal. Remember it is all set to catapult your business to new heights. Imprint area - 7" W x 5" H. Fabric – Polyester. Frame – Aluminum. 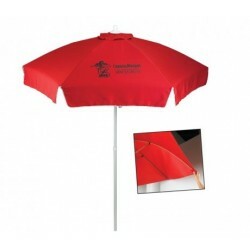 Product Size: 61" x 11" x 8 1/2"
Production Time : 3 - 4 weeks.